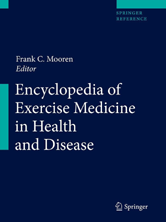 Encyclopedia of Exercise Medicine is aimed at people in related fields, health care professionals, physiotherapists, trainers, students, informed athletes and interested laypersons. It covers all aspects within the full range of modern exercise medicine of each particular scientific discipline (cancer, parasitology, aging, etc. ).